Autumn always seems to come faster than I expect. I do love it, but it is over so quickly and before I know it the fire is lit and winter is here. But Autumn has plenty of treats and I'm enjoying trying to use my evening once I've picked the kids up to enjoy them. 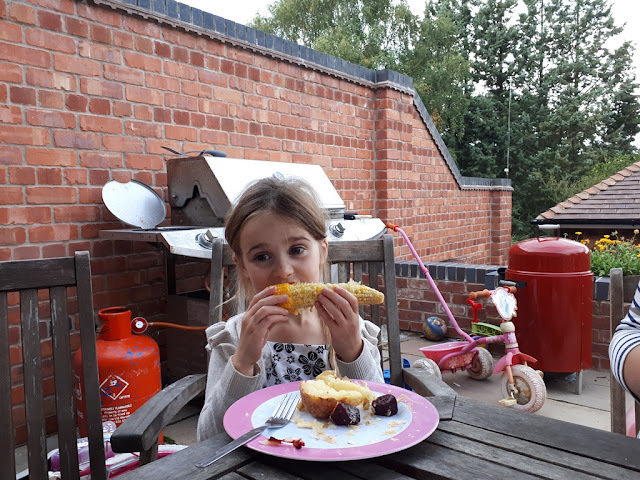 Turns out that corn on the cob is just about everyone's favourite here and the girls have been requesting that I grow more beds of it next year! Not something I'm going to argue with as I love it and it seems to be super sweet this year. I also love it for the apples. The kids go down the garden or orchard every morning and pick a apple to take to school with them for their snack. 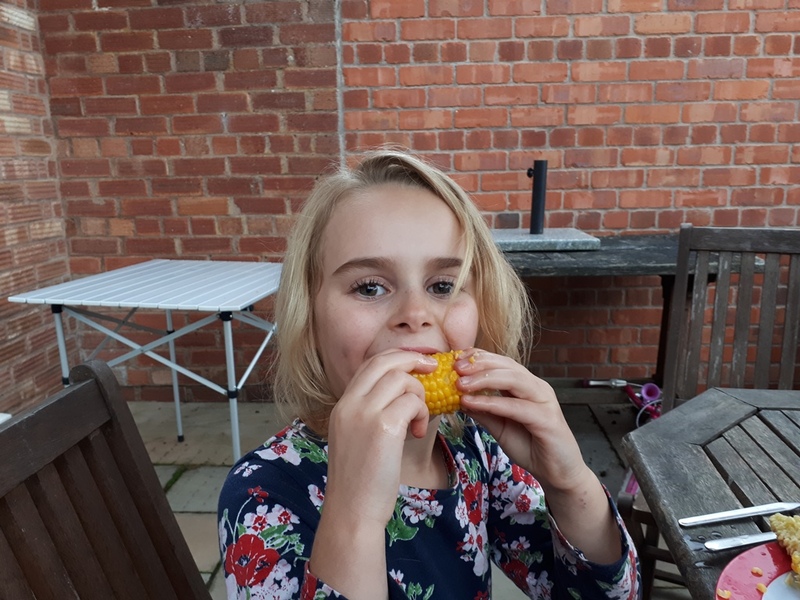 A mini tradition that can only last a few months but they love picking out which on they'll eat and take great pleasure in comparing them on the walk to school. We've also cooked about every apple recipe there is as well. As mentioned before the trees are laden so it's time to turn our attention to preserving them. The dehydrator is my favourite method at the moment and it currently on, filled with raspberries and cooking apples. 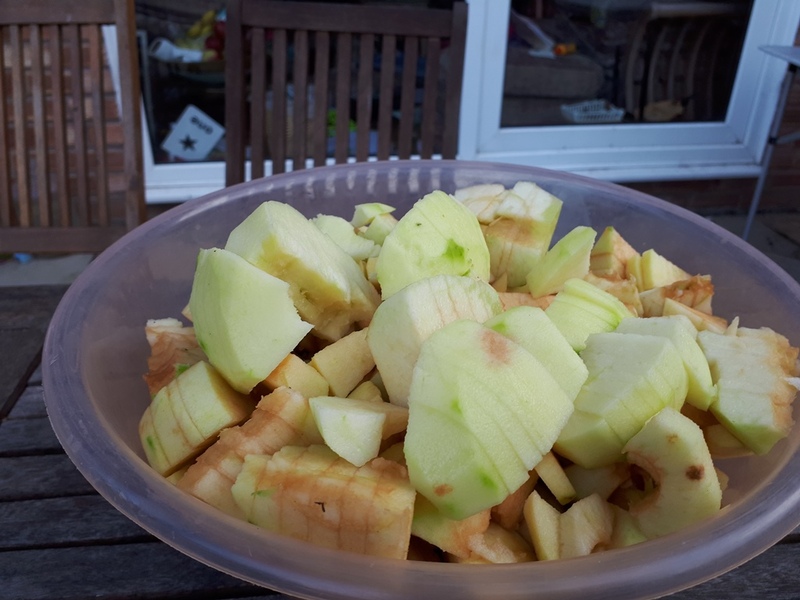 Chopped cooking apple - I don;t bother with lemon juice as don't mind it a little brown. My plan with the cooking apples is to try rehydrate them once dried and then see if I can cook with them like normal. Be a great way to save on freezer space! 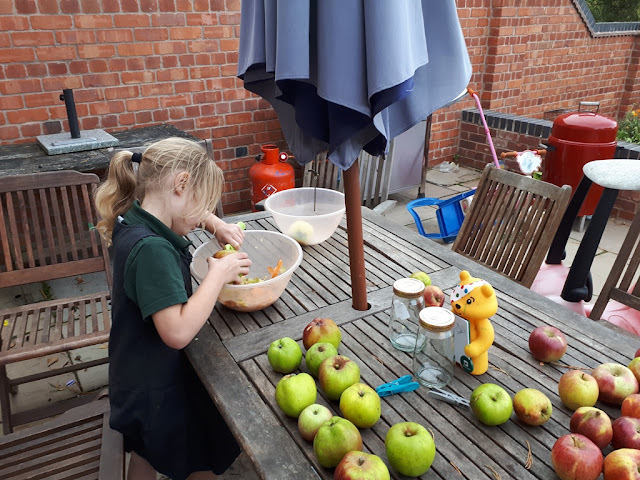 Then we gathered up the peelings and the cores to make apple cider vinegar. Something we'd not tried before. The kids all watch this video with me and helped following the instructions. They were so excited \t the end and ran off to get a muslin cloth to cover the pot only to come downstairs with a baby bed sheet laughing their heads off! If this works it'll be a great way to make really cheep cider vinegar for the chickens and cooking. Who has cooked with dehydrated cooking apples before? 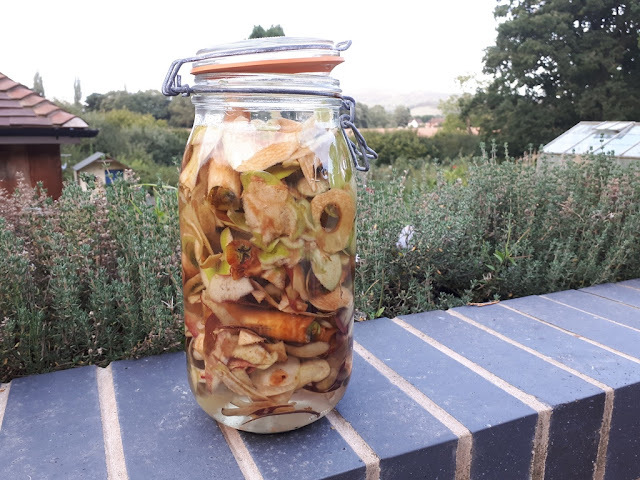 Anyone made vinegar with apple peels and cores? Sounds almost too good to be true! Wow your little ones are growing up fast. Our son loves picking his daily apples too. I made a batch of vinegar accidentally once from cider that had sat out too long - not the cores and peels - that sounds interesting to try. I think the vinegar happened the year we pressed cider for 3 days and did 80 gallons. It's delicious. Thats a lot of cider! Every year I say we're going to make some and every year we don't have time! Next year though! I never grow my own Maize, but rely on my neighbour's fields. 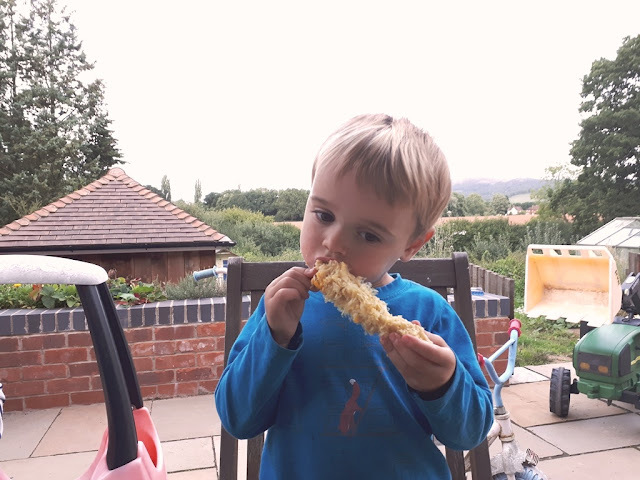 This year he decided to silage it before the cobs had formed, so it's been our first Maizeless year for decades. Woe is me! Ah - that's terrible! I do love field crops scrumped! I haven't seen the books but it's tradition at Guide camps in the UK to sing Grace before meals and my favourite was one about Johnny Appleseed. My local Guide unit still sing it. Ane - I've heard the story a few times and think it's a great one. Is there a type of apple that he planted? Be great to have it growing here! Asked my older sister about varieties: Albemarle Pippen and Rambo One are two. The only "known" surviving tree is in Nova, Ohio. Love the idea that he used the seeds left over in cider presses to replant. They may not have been perfect trees but they fed scores of hungry pioneers. Mom was a survivor of Great Depression and she scarfed up every bit of nature's bounty to preserve for the very hard winters. The trees John Chapman planted along the Ohio River and their descendants fed generations. What a blessed contribution to a people. I've made vinegar from juice/cider but not apple scraps. I keep meaning to buy some litmus paper or something to test the acidity with because I still buy vinegar for preserving. I use the cooking apple cores and peel to make pectin which I then freeze for the next years rhubarb and strawberry jams. I have made vinegar from strawberry hulls though- that was really successful. I've made a South American pineapple vinegar like it too, so the method definitely works! I like the sound of those - this is my first try so we'll have to see how ti goes. I use a lot in my cooking so it'll be interesting to see if it's better than what I can buy. The Amish pie made from dried apples is called schnitz pie. Thanks - just googled this and got loads of recipes! Can't wait to try it now! That's an interesting tid-bit, Suzan. Like Kev, I'll be googling 'schnitz pie' for recipes. Use the peelings etc. to make pectin or apple jelly. Love making apple sauce, goes great with yogurt. I grew up on the Texas coastline, where subtropical weather meant we didn't grow apples. My mother regularly used rehydrated apples for her fried apple pies, little hand-sized pastries we all loved.